“Oldies & Newsies 2,” which will run Feb. 2-28, 2016, includes several artists who will show work from early in their art careers while others will focus on their newest pieces. A few offer both adding a bit of retrospective to their work. N. Byram, Council Bluffs, a painter, collage artist and weaver, will show a progression from some of her earliest paintings to her most recent. Her abstract acrylic paintings deal with metaphysical aspects of ourselves and our environment. Sculptor Jeff Davis, Woodbine, creates work in metal. Joan Fetter, Logan, a painter, will exhibit a piece from early in her membership at the gallery and a new work. Thomas Hamilton, Council Bluffs, will show the first pot he ever made along with newer bowls. Virginia Ocken, Council Bluffs, paints aspects of the human figure in acrylic. Marcia Joffe-Bouska, who works in mixed media, joined the Artists’ Cooperative Gallery in 1978 after moving to Council Bluffs. She plans to exhibit a drawing from that period, plus a selection of her nest sculptures and a recent relief piece. 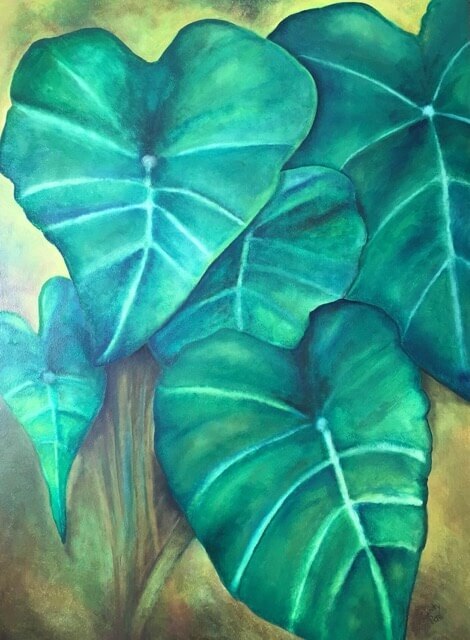 Cindy Rae Mathiasen, Council Bluffs, will feature paintings inspired by a recent trip to Hawaii, offering many shades of green in the midst of February. Dottie Seymour, Woodbine, paints, makes paper and creates artworks using mixed media. The Co-op, located at 405 S. 11th St., will host a First Friday opening reception from 6 -9 p.m., Feb. 5, 2016.